Hi fellas. Fell off the face of the earth and now I’m back again. I’ve picked up a few cars from unexpected places and I’ll share them in due time. My most recent pickup however, was from one of those Japanese houseware stores. It was brand new and so I decided to take a walk. Suddenly, my die cast radar was blaring and my eyes were directed to these two pegs in the lower corner on the shelf. Now to preface this I don’t usually give Majorettes the time of day mainly because they command a higher price (than Hot Wheels) for what I feel is an inferiorly made die cast and worse yet they have the ugliest wheels on the market aside from maybe whatever those butchers at Bburago put on their 1/40 Race and Play Ferraris. But these however, were special. In fact they were so special they cost an eye watering $8.50. But, “because Japan” is a good enough reason for me I bought one. They had a bunch of French cars, the shiny Mercedes and an orange Corolla. I could see that these cars were partnered with a Japanese car magazine but I was also curious what that desiccant like package was under the car. I decided to get this Peugeot 3008 GT because it had the best looking wheels. Majorette should forget variety and just put the wheels on everything. They look gorgeous. For some reason all the packages have a piece of velcro on the back (for easier wall mounting?) if anyone has an explanation, I’d like to know. The fitment, quality, and finish seem better than the ones I usually see. 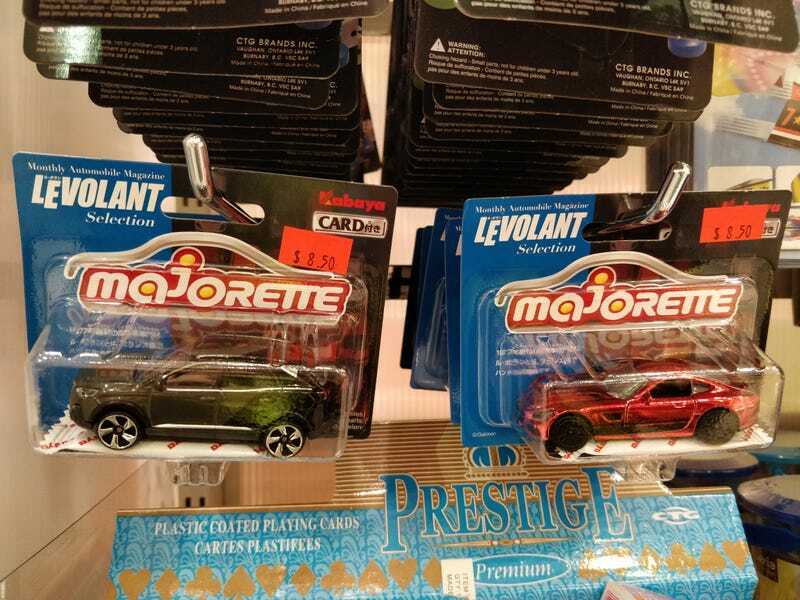 Not sure if it’s because it’s for the Japanese market or of Majorette is actually improving. The tampos are generous and well applied. Nothing is misaligned and the two toned paint is nicely done. On closer inspection it’s actually three toned! The trunk is the only opening part of this die cast. Anyone else out there have a die cast radar built in or should I see a doctor? Psychiatrist?